YouTube is officially baking livestreaming capabilities into its mobile app, the company announced Thursday. 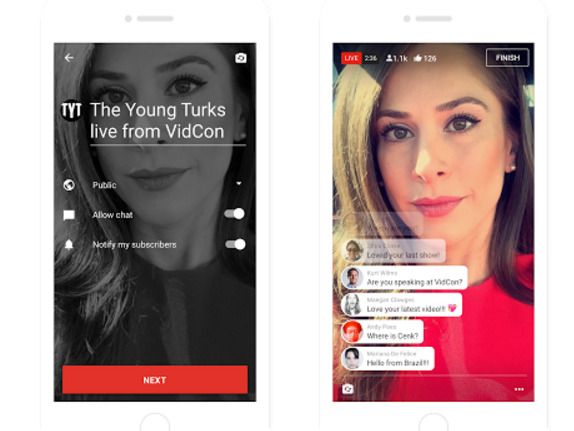 Like livestreaming rivals Periscope and Facebook Live, YouTube will let viewers leave live comments (though it doesn’t have an equivalent to Facebook’s emoji reactions or Periscopes little hearts). Although YouTube points out that it’s been offering livestreaming since 2011 “before it was cool,” the feature was not available in the flagship YouTube app. That has allowed mobile-focused social networks like Facebook and Twitter to get much of the attention for the live video frenzy. Facebook has been paying celebrities and news organisations to go Live and Twitter-owned Periscope received national recognition this week for becoming a hub for politicians when CSPAN cameras were turned off during a Congress sit-in.